Are you bored with your current look? Wanting to change up the image you portray? Getting a new hairstyle can be a great way to liven up your look and initiate a change in your life. However, without proper planning, a new hairstyle can turn into a terrible mistake in just a few snips. Included here are a few things to consider before committing to a new hairstyle. First and foremost, you should consider what type of hair you have before getting it cut. Some hairstyles do not work well with straight hair, while others can be ruined if your hair is wavy. Check that the style you are pursuing will work with the natural curve of your hair as well as how quickly it will go flat. 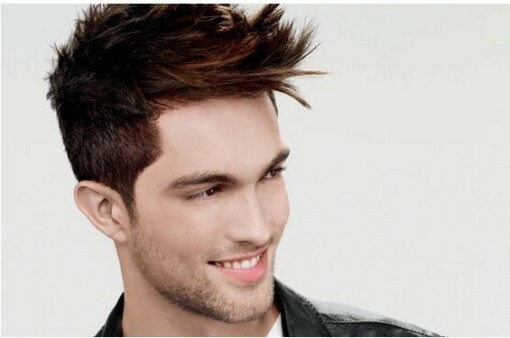 Your hair could also be too thick to pull off a high-and-tight or your hair could be too thin for a pompadour. Keep in mind, your hair will have to figuratively “put on a suit” for work as well. Is your new style going to impact how your clients view you? Will you be able to maintain a professional image? Make sure the style you choose will communicate well with your work and professional image. Are you the kind of person who spends two hours getting ready in the morning? Or do you prefer to roll out of bed and head to work? Your morning routine can be greatly affected by the new hairstyle you choose. Some styles require virtually no upkeep or coiffing in the morning, while others could need an hour or so of primping and styling. Be sure your new style “gels” with your morning routine. Do you visit the hairdresser on a monthly basis or yearly? Do you enjoy purchasing hair products or find it unnecessary? Your new haircut could require a monthly trim or new hair products on a weekly basis. Do you have the time and money to maintain the new style? Make sure you are ready to commit to maintaining your style before they start clipping. A cool hairstyle can quickly become unattractive if it is poorly maintained. If low-maintenance is your thing, let your stylist know before the shears are brought out. Have you ever noticed that some people look like they are always ready for one thing? Their appearance indicates they only hang out with one group of people doing one activity. This could be based on their clothing, personality or hairstyle. Does your new haircut allow you to look natural in the office and at the beach? Is that new mohawk going to be an eyesore in the next board meeting? Don’t limit yourself by choosing a look that is only pleasant to a small group of people. Stay true to what appeals to you but make sure it doesn’t have a negative impact on the rest of your life.